We’ll admit it, were a bit late on this one. 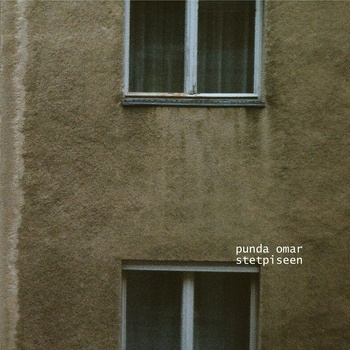 We mentioned Punda Omar earlier on in the year, since then he has been very busy indeed, being nominated as FM4 Soundpark’s act of the month, playing at Vienna’s Popfest and most importantly releasing part two of the Stetp series “Stetpiseen”. Stetpc was an excellent piece of minimalistic electro escapism. The 2nd installment Stetpiseen takes this on a more experimental path without straying too far from the recipe which made Steptc an intriguing collection of tunes. Stetpiseen is a little more difficult to get into, but even more rewarding once you break through that barrier, and it still remains the perfect headphone music to lose yourself to. Listen and download it for free on Punda Omar’s Bandcamp page. You can also follow the artist on Twitter. Punda Omar will be playing at Beatbox on 05.10. as part of the Waves Vienna festival.